Not too long ago, “watching TV” meant memorizing what time programs aired and catching them at their pre-set times. Outside of television programming, watching a specific movie required physical media to be rented from a brick-and-mortar store. Today, the rise of online video-on-demand services such as Netflix, Hulu, or Amazon Video means that thousands of titles are available at our fingertips to watch at any time. The explosive growth of these services means an easier, more convenient viewing experience for consumers, but also millions of lost DVD sales for large studios. Over time, large studios recognized that the shift in consumer habits threatened their bottom line, and they’ve taken action by increasing licensing fees for streaming their films or even developing their own in-house streaming subscription service. Today, the demand for video-streaming services has continued to surge and the numbers of annual subscribers continue to grow, but rampant piracy and the race for content hints towards a significant change for the future of the industry. The video-on-demand market today is split between two different approaches. On one hand is the marketplace approach which Apple uses: where users pay money to purchase or rent individual titles. The alternative is the subscription approach used by Netflix and Hulu: where users pay a single monthly fee to access a tremendous amount of content at no extra cost. The marketplace approach is not new – it is a simple approach where a portion of revenue from each sale is kept by the marketplace and the remainder is sent to the studio. 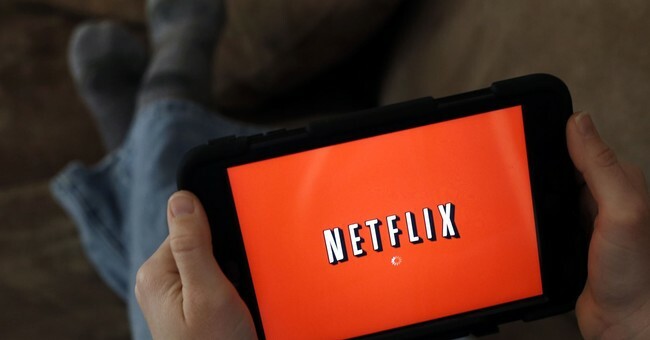 The subscription approach, while relatively new, has exploded in popularity and grown at an unprecedented rate, where Netflix is the largest streaming platform in the world. Today, Netflix’s market capital is over $80 billion and is backed by a subscriber base of over 100 million people across 200 countries, or 15-20% worldwide population. Nevertheless, the number of streaming services has also grown over the past decade as competitor services such as Hulu have expanded their offerings and studios have launched their own in-house video-on-demand services which provide exclusive studio content. As time has passed, an increasing number of studios and publishers have pulled content away from subscription streaming services such as Netflix and Hulu to instead make their content available through their own streaming subscription services, such as HBO Go. This has created fragmentation within the industry which will only be exacerbated over time as streaming services become more defined by the premier shows they have to offer. Perhaps one of the largest hurdles for Netflix to overcome early on was the fact that the service they offered is easily copied. They handled this by releasing critically-acclaimed Netflix Originals that could be viewed only on their service. While this approach allowed Netflix to maintain its position for years, other studios with deeper pockets such as Amazon, have taken up the mantle of creating heavyweight original titles. As major studios are pulling content from streaming services and hosting them instead on their own online service, the landscape is rapidly resembling an arms race for content. Possessing unique content viewable only through one service means that users will be incentivized to sign up to view certain media. In fact, Netflix has been pushing this philosophy into overdrive – the company is anticipating an all-time high release of 80 films in 2018. Amazon has also been leveraging its considerable capital to grow its video-on-demand service by investing $4.5 billion into its streaming subscription service. To further add to Netflix’s headaches, Disney has recently announced that they are pulling all their content away from Netflix and developing their own video-on-demand service. However, it’s important to realize that consumers are often subscribed to more than one service. The average subscriber pays for 1.5 streaming subscription services today, which represents about 250-300 million accounts. When looking towards the future, it is estimated that there will be 400 million accounts by 2020 and 500 million by 2023. As unique content and subscription costs are the two largest considerations taken into account by potential subscribers, future success is now more dependent than ever on the quality and variety of shows that are only available on each streaming service. In the future, consumers will likely hop between different subscription services in order to watch the shows hosted by each provider. The total number of streaming subscription accounts are a fraction of what they could be, and that shortage is due to piracy. There is inherent cannibalization when it comes to pirating – “free” access to movies removes any incentive to subscribe to a streaming service or to purchase movies, effectively placing pirates in a category of users that will almost never spend money on movies. In fact, it’s estimated that 23.76% of all internet traffic is associated with copyright infringement which is an astronomical number. It was found that nearly 84% of content consumed in Spain was pirated, of which films were the largest percentage of the total. Loss of income due to piracy is tremendous for video-on-demand companies. In monetary terms, piracy will cost video-on-demand services an estimated $52 billion between 2016 and 2022. When looking towards the future, tackling piracy is going to continue to be the largest issue for video-on-demand services, whether it’s continuing to crack down on piracy sites or creating an alternative that’s much more difficult to distribute. Solutions will be driven by technological advances, and one of the most scrutinized and popular new technologies is a transaction validation process called blockchain, where all transactions are scribed onto a decentralized ledger. A new company called Streamspace is leveraging blockchain technology in order to create a marketplace for film distribution and streaming. The key here is the immutable ledger which defines a blockchain in that only users who have purchased a film have the ability to play it and owner identification is easy. Media purchased over Streamspace can only be played by owners. While still in development, Streamspace is an example of technological innovation that can drive towards a future where piracy is less rampant. The future of video-on-demand is fantastic, growth potential is enormous and worldwide adoption will only increase as better infrastructure is laid down around the globe. The focus of subscription streaming services has shifted to funding and creating unique content. Looking forward, it’s unlikely that consumers will choose to subscribe to even more streaming subscription services, they may instead hop between different services in order to catch each company’s premier shows. During all of this, piracy continues to lead to enormous amounts of lost revenue which hurts the small production companies far more than the giants of the industry. As technology develops, enforcing rules against piracy will become easier and more efficient. Alternatively, leveraging new technologies could lead to a freer and safer future where transactions police themselves.